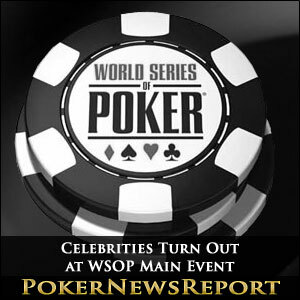 The WSOP Main Event is known for many things in the poker world, one of which is the amount of celebrities it attracts, and this year is no different. A number of famous faces, from actors, sportspeople and comedians have taken to the felt to be a part of the 44th annual WSOP Main Event, with mixed results. Long-time UFC Welterweight champion George St-Pierre also eliminated in the first starting flight. 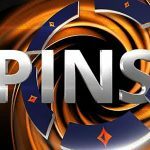 It came after his Pocket Kings were busted after his opponent hit a two pair on the flop with Ace Five, putting the Welterweight down to less than 10,000 chips. He then lost them all as he attempted to double up with Ten Six suited, but hit nothing on the board to bust out on one of the final hands of the night. The Canadian fighter later acknowledged that he needed to improve his game if his poker career was ever going to mirror his stellar career in Mixed Martial Arts. I am known as a very disciplined fighter, but also a very undisciplined poker player, the two-time UFC champion said. That’s what I’m working on; I need to be more disciplined. American comedian and actor Kevin Pollak has fared better, however, as he made it to the next phase of the event, and had a stack of 42,500 in Day 2a at the time this piece was written. Pollak, who featured in such movies as Willow, Wayne’s World 2 and Grumpy Old Men, has played a fairly disciplined game as he seeks to be winner of the Gold Bracelet. Ray Romano, who is best known for being the main character in the US sitcom Everybody Loves Raymond, has also done well in the Main Event thus far. He finished Day 1b with 82,350 chips to his name. That was down to 65,000 in the late stages of Day 2a, but a small chip up could shoot him up the chip ladder. Fellow actor Brad Garrett, who played Romano’s brother Robert on the sitcom, did not fare as well and was knocked out of the tournament before the end of the starting flight. Another actor to have been knocked out on the first day was Jason Alexander, who played George Constanza in the 1990s hit TV show Seinfeld. It was not the outcome he wanted, but it will likely not dampen the poker veteran’s solid career on the felt. Australian cricket legend Shane Warne is another famous face at this year’s WSOP Main Event, and made it to the second phase of the tournament after finishing the first starting flight with just over 91,000 chips. With the WSOP Main Event still in its early stages, time will tell if any of the celebrity poker players will go far and even win the coveted Gold Bracelet.